Young, broke backpackers seem to have hijacked the term “budget travel” like it’s a local bus heading to the full moon party. It’s true: Those disheveled nomads packed in grimy hostels with little regard for noise or hygiene are technically travelers on a budget — but the term is by no means exclusive. Budget travel truly is for anyone looking to make travel less expensive, and doing so doesn’t make you a vagabond. I speak so fondly of backpackers because for so long, I’ve been one. I spent a decade crashing in hostels, living off street eats and cramming myself into chicken buses. But when I became less young and less broke, budget travel became a choice — one that I continue to favor. Let’s size up the usual travel expenses and see easy it is to do them on a budget — without sacrificing style. The face of budget travel has changed so much in recent years. You’d be surprised. Image courtesy of Freehand Chicago. “Life is a journey, not a destination.” This quote is often attributed to Ralph Waldo Emerson — but he never actually said it. But you know who did say it? Steven Tyler, in the song “Amazing.” And you’d better believe the Aerosmith front man is familiar with the front cabin of an aeroplane. What’s my point? Well, points — and the different approaches to using them. Some people amass tons of points and miles so they can experience opulence in the sky. A trip across the ocean in lie-flat luxury is a holiday in itself — and one that TPG does often. But to me, they’re another form of currency to be stretched, just like my dollars. As Emerson said (for real), “Money often costs too much.” I have a hefty bank of frequent flyer miles, but I prefer quantity over quality — in other words, I tend to use them to explore as many destinations as I can for as few miles as possible instead of blowing them all on one thing. 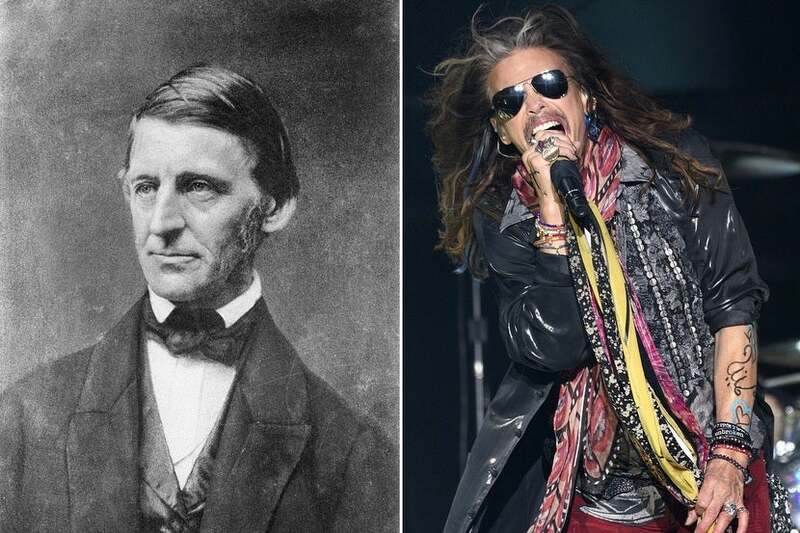 What do Emerson and Tyler have in common? Only the greatest travel quote of all time — well, sort of. Images courtesy of Historical and C Flanigan via Getty Images. You’ll likely need to transfer miles into these various programs to take advantage of this, so keep an eye out for transfer bonuses. Of course, a lot of these deals aren’t as sweet as they used to be, but if you spend too much time lamenting over the good old days, you may miss your flight. 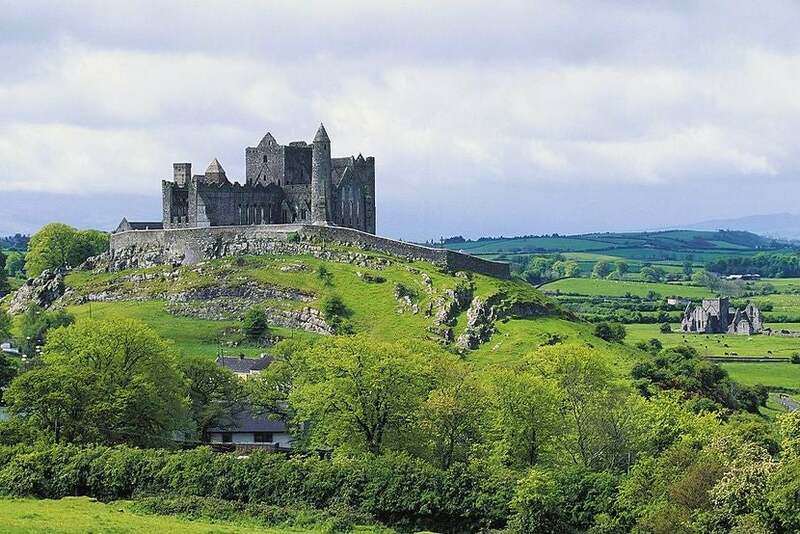 Would you pass up a trip to the Emerald Isle because it used to cost only 25,000 Avios? Image courtesy of DEA / W. BUSS via Getty Images. It only takes a bit of awareness and planning — sign up for credit cards during increased bonuses, use them whenever possible and know which card to use for which expenses. You may never have to pay for another major international flight again — I haven’t in 15 years. And even if you don’t have the miles, low-cost carriers now cross oceans — Norwegian will get you to Europe, and AirAsia X will soon get you to Asia. Or sign up for our Deal Alerts, which have saved TPG staff members hundreds on trips worldwide. The point is, air travel doesn’t have to be the limiting expense many believe it to be. We know you can stay at a ritzy hotel for free with points, reduce costs with Points + Cash or save with the Citi Prestige Card’s nifty fourth night free benefit. But if you’re on a longer trip, those points will dry up quickly. Occasionally, I get fancy. Generally though, I prefer to spend my travel dollars when I’m awake rather than when I’m asleep. Of course budget-friendly lodging options will vary depending on where you’re going, but it does exist in some respectable forms pretty much everywhere. 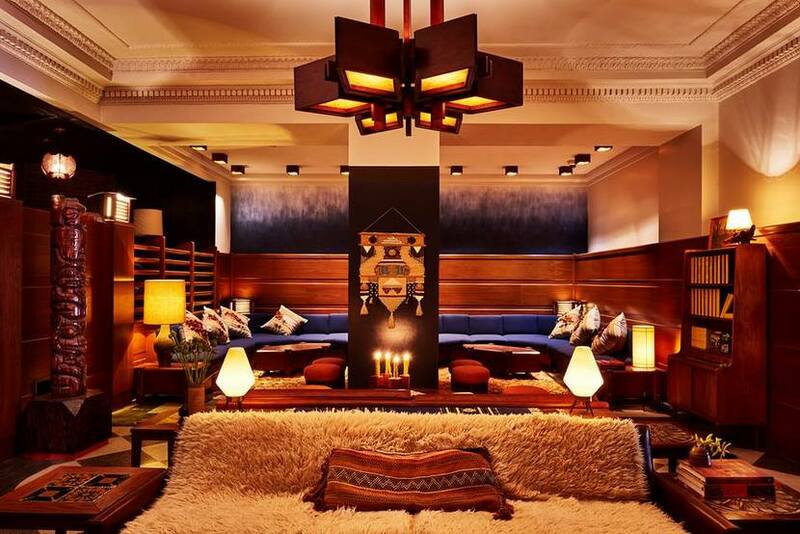 In the US, an emergence of “poshtels” combines the social vibe of a hostel with the comfort and decor of a boutique hotel in cities where affordable options are scarce. Freehand Hotels were “created for a new generation of travelers,” like a backpacker who has graduated to a comfy bed and clean shower but still likes to mingle with fellow travelers over a cocktail. You’ll find these in Miami Beach and Chicago — the brand is adding outposts in Los Angeles in May and New York City later this year. Beds in a shared room start at $30 per night, while private rooms hover around the $100 per night mark. The Freehand Chicago will change how you view shared accommodation. Image courtesy of Freehand Chicago. 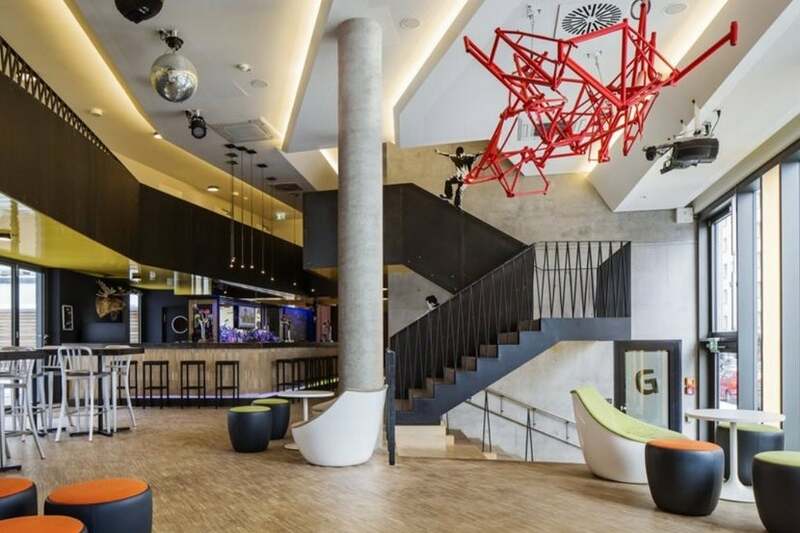 In Europe, Generator Hostels are leading the upscale-hostel movement with 12 locations, including a former Beatles recording studio in Hamburg as well as properties in Amsterdam, Barcelona, Berlin (Mitte and Prenzlauer Berg), Copenhagen, Dublin, London, Paris, Rome, Stockholm and Venice. The brand will soon open 13th spot in Madrid and is planning its own British Invasion with the first US location in Miami opening later this year. John and Paul no longer jam here, so you’ll be able to get some sleep. Image courtesy of Generator Hamburg. In Latin America, lodging prices drop across the board once you get south of the Rio Grande, but the folks behind Selina Hostels are adding their own twist. 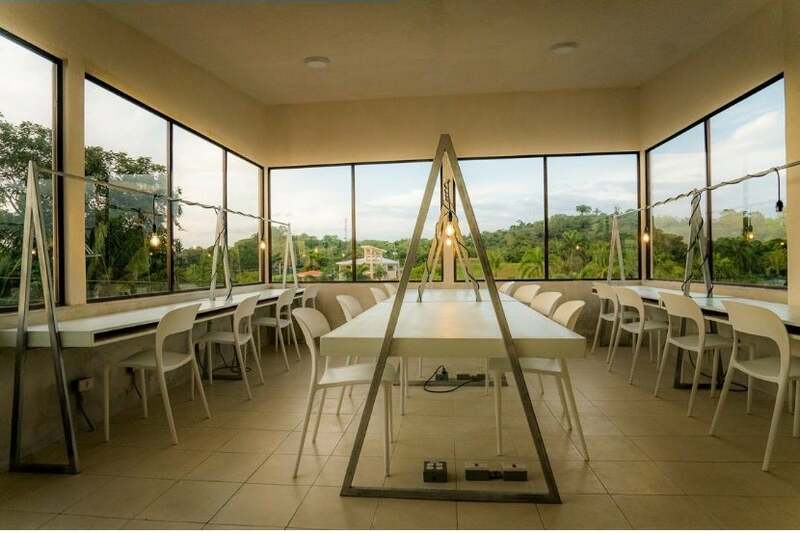 Dedicated co-working spaces aim to lure the digital nomad. With locations on beaches and in jungles, it’s the weekend-home version of a poshtel. If you have the option to work remotely, you’ll be able to explore Panama, Costa Rica, Colombia and soon, much more without having to quit your day job. Just another day at the office for a digital nomad. Image courtesy of Selina Hostels. In much of Asia, clean and comfy private rooms go for $10 to $20 per night — they don’t come with a loyalty program, and sometimes lack even a website or credit-card reader, so check TripAdvisor, Booking.com and guidebooks to find these cubic zirconias in the rough. At a minimum, you can expect to find a clean room with private bath and all the essential amenities you’d see in basic hotel. Oftentimes, you’ll end up with daily breakfast and a local host family that’ll take you in as one of their own for the duration of your stay. 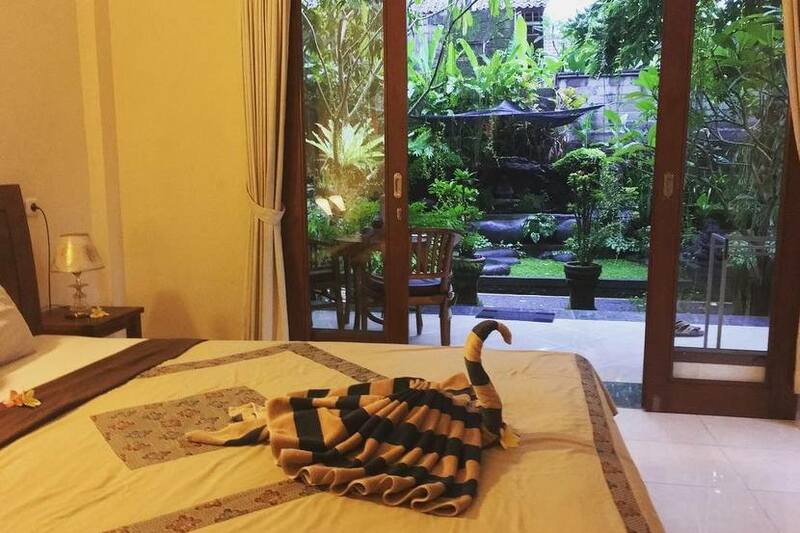 I stayed in this roomy private bungalow in Bali with breakfast and daily towel origami for just $19 a night. Image by the author. If you don’t want to think about it in regional terms, Airbnb now claims to have more than three million listings in 191 countries, including properties from castles to couches, so you’ll find something for any budget. Best of all, the host is usually a local who can point you to his or her local favorites for food and entertainment while you’re in town. 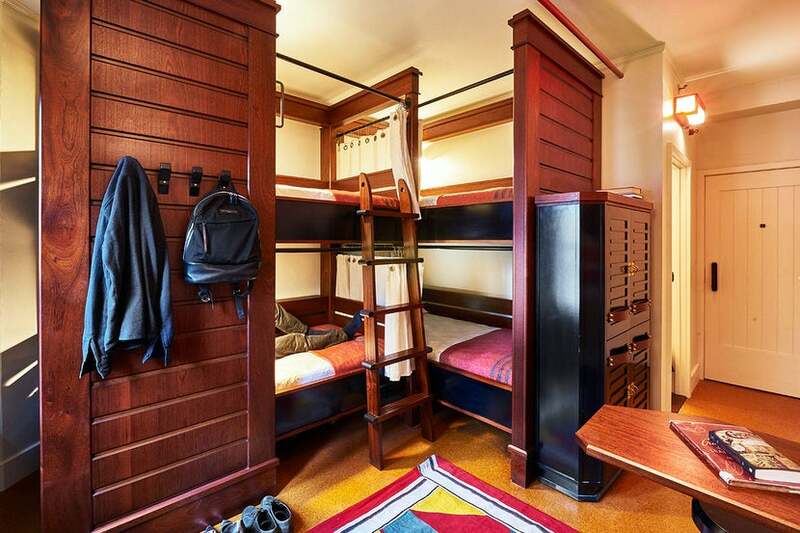 For a long time, travelers had to choose between the social and economic perks of a hostel and the comfort and amenities of a hotel. The good news is, that gap is filling in quickly all over the world. And with some careful points planning, you can fly almost anywhere on earth for free and see it for yourself. What tips do you have to share for budget travelers who still like comfort? Sound off, below. Featured image of Generator Venice courtesy of Generator Hostels.